FOCA is very concerned about the potential impacts of introduced species and the effect they can have on our quality of life in Ontario. 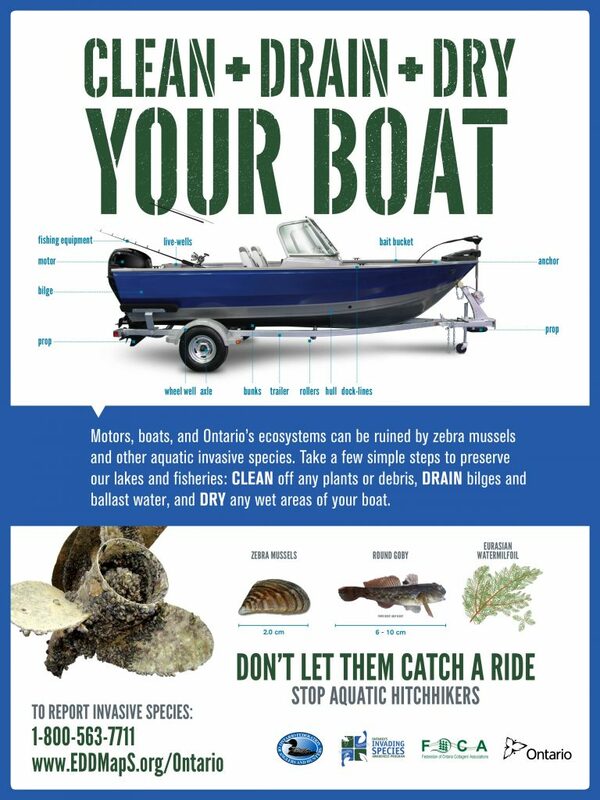 Find out more about invasive species in Ontario: click here for a link to the Cottager Action Plan that you can also download and share. Know what to look for and then take action! If you identify any invading species near your cottage call the Invading Species hotline at 1-800-563-7711 or visit Ontario’s Invading Species Awareness Program. 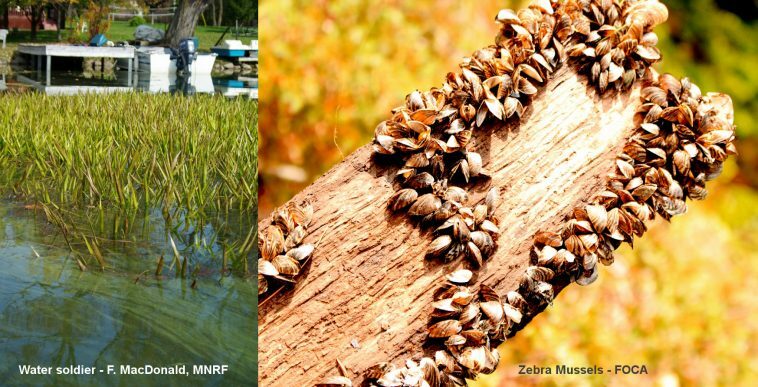 We have already seen the impacts from the many existing and looming invasive species introductions, including forest pests like the Emerald Ash Borer, aquatics like the Zebra Mussel and Asian Carp. These invaders have proven to alter the environment, damage our economy, and negatively impact our communities. Feb.26 – Mar.2, 2018 is #InvasiveSpecies Week! December 2017 – Collaborative fights Phragmites with international approach. Read the article from the International Joint Commission (IJC) here. February 2017 – the film “Making Waves: Battle for the Great Lakes” is a documentary about invasive species. Watch the trailer here.